We are open Monday-Sunday, from 8am to 7pm. 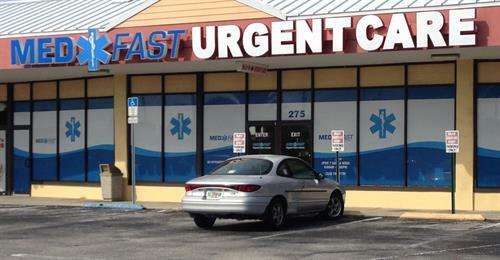 The Medfast Urgent Care Center in Cocoa Beach offers patients fast, professional medical treatment for all their urgent care needs in a convenient, professional environment. Our average wait time to see patients is less than an hour, compared to busy Hospital Emergency Rooms, which can sometimes take four to six hours to be seen. When you have a minor emergency, work related injury, or just need a work or sports related physical, Medfast Urgent Care Center in Cocoa Beach is there to serve your medical needs.